The government has announced plans to end two-year study programmes for many 16 to 18 vocational learners and instead opt for progression to apprenticeships from the age of 17. The Department for Education (DfE) said on Thursday (November 5) that a new independent panel led by former Science and Innovation Minister Lord Sainsbury would help the government create “up to 20 specific new professional and technical routes, leading up to employment or degree-level”. A spokesperson pointed out that “currently, only 6.9 per cent of 17-year-olds are doing apprenticeships and only 33 per cent of apprenticeships are delivered by colleges”, but “by engaging colleges much more with apprenticeship training, these reforms will significantly raise this proportion”. The drive to push more 17-year-olds into apprenticeships “as quickly as possible” will mean a reduction in two-year full-time study programmes for 16 to 18-year-olds — sparking fears of further funding cuts. 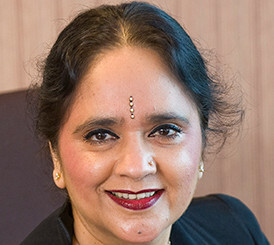 Dame Asha Khemka (pictured below left), principal of West Notts College, told FE Week: “There is a risk that funding will be reduced, particularly if we lose most of our 17-year-old learners at the end of their first year. “Employer apprenticeship places is also a limiting factor, so a further risk is the creation of a two-tier system where only the best students’ progress. 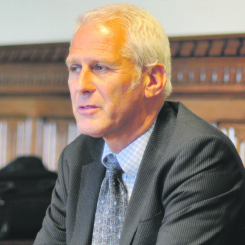 Association of Colleges chief executive Martin Doel said: “It is important that any reform of technical and professional education does not lead to any further cuts to funding for the sector. 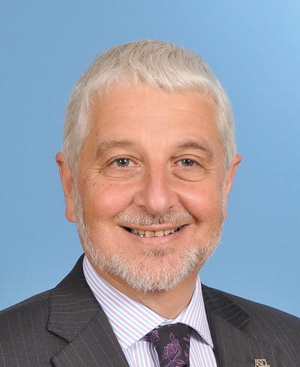 Brian Lightman (pictured below right), general secretary at the Association of School and College Leaders, agreed reforms should not be driven by financial considerations. “Using the upcoming budget to undermine [16 to 18] funding any further would leave our economy in serious jeopardy,” he said. The DfE said academic and applied study programmes would continue to be available and these reforms to technical and professional routes would build on the existing tech bacc scheme. 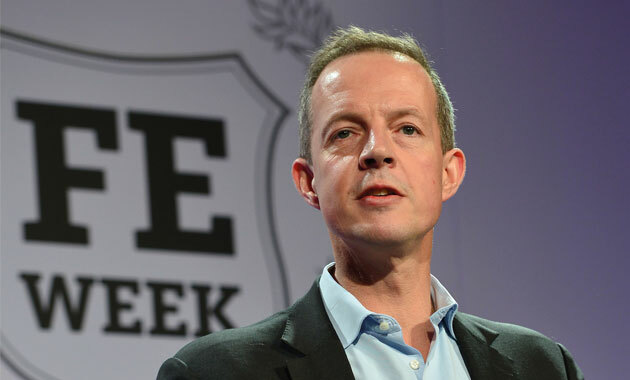 It comes after Skills Minister Nick Boles (main image) floated the idea, during a fringe event at last month’s Conservative Party Conference, of one-year full time courses for 16-year-olds. Joining Lord Sainsbury on the expert panel will be Professor Lady Alison Wolf, whose landmark 2011 Review of Vocational Education sparked the introduction of the study programmes, Bev Robinson, principal of Blackpool and the Fylde College, and Simon Blagden, non-executive chairman of Fujitsu UK. Mr Boles said he was “delighted people with huge experience” had “agreed to advise us”, but declined to comment any further on the plans to FE Week. Further details will be announced early next year, after the panel reports to government. It seems obvious when you think about it. If colleges progressed full-time vocational learners onto an apprenticeship at John Lewis when they were 17 the government would solve five tricky challenges. It’s political genius. What’s not to like? Combine this with the apprenticeship levy policy and up to £5,400 per apprentice as an employer incentive and you can see why the employers will want in on the action. They will survive, but the question principals might well ask is which large employer will be added to their logo? How are employers going to create a significant number of new vacancies over night? After all, If employers were able to offer new jobs so quickly and easily (to the volume being suggested), the number of 17 year olds in colleges at the moment would be significantly less!!! Just so I’m clear, the employer incentive is actually giving the employer the minimum wage they need to pay the apprentices? So free labour, much more attractive than real staff. What could possibly go wrong, ask all those too young to remember the YTS scheme. Do we honestly believe employers will decide to take on apprentices after training when they can get another batch of free ones? And to add to this, how are jobseekers on an allowance outside of this age group going to compete for work with 17 year olds being subsidised by £5400? I wholeheartedly agree. Employers are already refusing to employ apprenticeship students once the minimum term has been reached. Whilst apprenticeships (that work) are clearly significant in moving people into employment I worry that we create a lost generation of young people who will struggle to meet the increasing demands being placed upon them within some apprenticeships. Does this also stifle creativity and movement within the UK as 17 year olds will have to take what is available rather than look for an individual direction that meets their needs and aspirations. Some people need stepping stones! Why do you think colleges currently only deliver 33% of apprenticeships? Could it be that a significant number of staff with colleges are out of touch with industry, will be unable to relate to employers needs and also go out into the workplace to cover backshifts and week-ends? I am concerned that these one size fits all changes continue to ignore the many sectors we represent. As a 6th form that specialises in Creative subjects their are very low numbers of apprenticeships with employers, with the sector preferring internships for graduates. This will also impact on numbers being able to access HE, one year worth of FE is not going to cut it. I am also working with low level learners for whom a two year programme is essential to build confidence, employability skills and good levels of literacy and numeracy. I think these reviews are removing choice, limiting options and pushing forward an austerity agenda that is focusing on the ‘have not’ and targeting those services who are working to re-engage some of the most dis-engaged. Further more the constant meddling and changing is damaging and undermines the FE sector. At the same time as announcements about raising university fees is this the thin of the wedge of us going back to further and higher education only being accessible to the wealthy and privileged. Unfortunately there is a lack of understanding of what kind of education really makes a difference. These policies are for other peoples children. I would have thought it best to put the existing chaos in order before adding more fuel to the fire – Putting aside the truly excellent examples of FE Colleges and many Employers, the quality of provision generally and who does what for whom is in the main a mess and while the talk is understandably about funding, the student, learner, apprentice, employee is the one that is paying the price simply by getting old whilst FE & Skills burn. We elected a government committed to cutting public expenditure. Get over it. Yes but not in a way that disadvantages those that need support the most. As someone else said, a policy for other peoples’ children? Many voters hoped that the £12,000,000,000 foreign aid budget might be cut instead of cutting the future of young people living in the UK. We also hoped they might cut the £50,000,000+ spent EVERY day on membership of the EU club. These are the areas where the axe should fall! Where is the mention of the work based learning sector in any of this? Where is the thanks from the government for delivering high quality vocational training to hundreds of thousands of young people, all with a backdrop of zero investment and uneven playing field, when compared to the colleges? Having played a central and significant role in the development of apprenticeships, through the Group Training Associations and industry responsive private training providers (PTP’s), I am incensed at the wanton destruction of the workbased learning sector by bureaucrats who believe colleges are the best answer. Whilst there are notable examples of poor practice in the private sector and colleges who deliver quality apprenticeships (Deeside College & Airbus springs to mind), it is an established fact that most colleges struggle with field based delivery of any kind (part of the reason why they deliver so few apprenticeships). If the policy were flipped and PTP’s were given the funding, maybe even some capital funding, the results would be significantly improved and come in well under budget (remember the vast majority of PTP’s have worked as subcontractors to colleges charging 25% management fees). Time to consider a change of career maybe!? If you really think the bureaucrats thing that colleges are the best answer, you’ve been reading different articles to me. Try schools and universities for your next career move. I believe if we review other success stories in Europe around apprenticeship delivery, our Government and structures in place are constantly focusing on the ‘symptoms’ and not the ’cause’ of the problems related to youth engagement in apprenticeships. Setting aside the employer and work placement issues, IAG is clearly not active or taken seriously enough within our educational system at an early enough stage in a learner’s journey. Too often teachers and Heads of schools are forced to focus on achievement of grade targets and KPIs, rather than acknowledging their impact on a learner’s life decisions and positive experiences rather than looking at the long term picture and goals of the individual. Our struggling, over crowded and exam results focused school system is in an inefficient state, even with the outstanding dedication, care and talented professionals who work tirelessly to support the learners in their care. KS2 learners should be guided and informed to focus on their aspirations and then, linked to their talents and passions, be lead towards suitable pathways which will focus them on the end outcome, which can then be provided by FE and other providers. Being proactive rather than reactive is surely a more sustainable strategy, and can be implicated alongside quick fix measures like 3 million by 2017. Just my initial thoughts. amendment: 2017 should read 2020. Sadly yet another ill thought through plan to increase apprenticeship numbers. Many of our learners in the FE Sector are with us because they need additional time to grow and develop as young adults. To achieve this in one year is not going to happen for the vast majority of those from vulnerable backgrounds and those requiring English and Maths qualifications. If vocational education and training career pathways have status commensurate to that of academic pathways (A levels), where is the parity in reducing progresses of study to 1year? Interestingly, it will meant the programme of study is only 35 weeks in most cases compared to the minimum 52 weeks and 1 day of an apprenticeship. I’ve no issue with policies that increase technical and professional opportunities for anyone at any age but to expect a huge increase in these apprenticeship vacancies to appear overnight is folly. Focus on creating the demand through employers and the sector will shift, those best placed and proactive in engaging with employers and new vacancies will prosper. Having been directly involved with the growth in apprenticeship numbers through Colleges I know the challenges in engaging industry and the cost attached in doing this successfully, cutting already tight funding will make this more of a challenge. The main room for growth is with micro and SME businesses who are very busy looking after today and often find it difficult to plan for the future and perceive that they don’t have time to understand or navigate the complexities of taking on an apprentice. If this policy is enacted with as little consideration to the mechanics as the most recent ones effecting vocational education, it will result in a reduction of support and opportunities for the majority of young people, I’m sure however DfE/BIS will have a healthy underspend. Comments about YTS and lost generations of working class are inevitable and will be an outcome. Do the Government care though, they’ll have delivered on the cutting of the deficit (they’ve grown) but at what cost. Employers will take 16-18 year olds if given the right amount of support – and if colleges don’t have an easy option (of filling classes). Know a lot about vocational and occupational education and training do you Ben? Though not….. I teach BTEC engineering to full time 16 to 19 year olds. Most of them are only at college because they have not so far been successful in getting an apprenticeship. Many continue to apply for apprenticeships and every year youngsters drop out of their course in order to take up the opportunity of starting an apprenticeship. The government considers them failures because they did not complete their college course. Does anybody know what percentage of the “expert advisers” have completed an apprenticeship themselves? Is the government relying on “expert advisers” who have just read about apprenticeships in books and reports rather than having had any personal experience of doing one or running an apprenticeship scheme in industry. The government is making great progress with these bold new ideas. Given the high costs of housing employers could help apprentices by providing low cost accomodation. Employers could help apprentices even more by providing housing attached to their premises thus eliminating the need to pay any costs for travelling. To meet safeguarding requirements high walls could be built around the premises and security guards employed to keep out undesirable characters. The apprentices would, of course, be released one a day a week to attend college. A sense of community and homeliness would prevail and the whole system would become like a “working house”. This would be ideal for those who could not afford expensive schooling and the high cost of university. It is amazing that nobody has thought of this innovative idea before. Over 20 years of vocational education. In colleges & employers. You? I know it’s hard, but there are so many trades you need to learn on the job, not in the classroom. The evidence supporting the importance of work place learning and assessment in apprenticeships is here: https://ore.exeter.ac.uk/repository/handle/10871/15728 – but access to relevant technical training in college is still very important in apprenticeships. In relation to the main article, this could be a good move by Government, provided they can create the required number of ‘quality’ apprenticeship opportunities for young people! It is far more prudent/pragmatic to get young people into jobs before they start their college training – this way the college training is more relevant and offers the student opportunities to embody/practise their skills and knowledge within practical duties at work. The need is for many more apprenticeships – the managed linking of theoretical input with sustained work place learning to achieve industry (not government) designed standards. The recent clamour for more and better careers advice, especially at school, is well placed and overdue, but will lead to greater frustration on the part of young people who will continue to demand full-time off the job courses if they cannot find a suitable local apprenticeship. The urgent need is for many, many more apprenticeship offers from employers. That is the immediate priority. The jump to 3 million apprenticeships is a narrowing rather than a widening of choice and educational participation, for many of the reasons outlined above. Many learners are not ready, for varying reasons, to make that choice at 17 and to force them to do so, for the safe of ‘targets’, is inhumane. FE, left alone and well funded< to educate and support them, would be far more effective. The Policy is wrong; in focus and application. Employers are not willing and able, learners are not ready and FE is overwhelmed by funding cuts and diverse learner needs. 3 million is an insurmountable target, wasted funding and a headline grabbing diversion from the real issues facing FE and learners. I think we”ve been talking and talking and talking for years _ after all its only children’s lives we’re playing with!!! Maybe if we decided on an education strategy and stuck to it our children would not have ended up the unemployable rude selfish young people so many of them are. Funny how the teachers and politicians are still the ones with jobs !!!! Most lecturer/teachers are trying to do a good job and use some common sense but have to follow the ever changing stupid ideas from OFSTED which get fed down via senior management. Most teachers would like to see OFSTED closed down as this would result in all round improvements, better management of colleges and less stress for everyone. No mention of the benefits trap. Parents want their children in full time education (SFC or FE) between 16 and 18 because it enhances the parents’ benefits. I have tried many times to encourage learners to move into employment at 17 only to be thwarted by parental pressure to stay at college.